This is a good place to begin teaching young kids basic words and vocabulary in Spanish. Most of the colors are easy to say and remember, however, the word for Yellow In Spanish is amarillo. This is a fairly long word which is pronounced very differently to how it would be said in English. Please watch our audio video via the color flashcards link above to listen to how amarillo is pronounced correctly. To print this large size Yellow In Spanish flashcard, right click on the picture below and select the option to print. This is a free resource which has been created for educational purpose. This free teaching resource may be used by schools and educational centres to help teach kids their first words and basic vocabulary. Tutors and teachers can use our printable flashcards for planning classroom lessons and homework. The cards can form a learning game if you print them in black and white and ask children to color them in accordingly. The names of the colors are written in English and Spanish which means they're ideal for teaching either language. 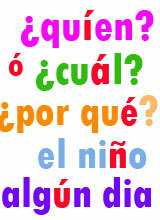 Printable Color yello Flashcard for Children and ideas for lesson planning and teaching Spanish and English languages. Free printable amarillo flashcards for kids and teachers. Picture cards with words for amarillo, Yellow In Spanish and los colores. Color Flashcards for kids and teachers - fun and free to use.